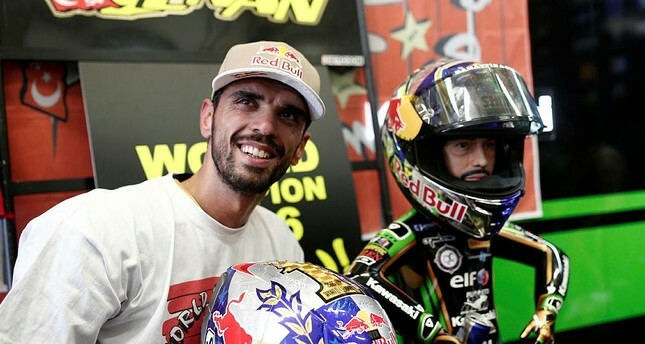 Turkey's ace motorcycle racer Kenan Sofuoğlu announced Monday that he would retire after one final match in Italy, ending his 15-years racing career with five Supersport World Championship titles. In a Facebook post, Sofuoğlu said he took the decision after his family and loved ones insisted, including President Recep Tayyip Erdoğan, who Sofuoğlu said personally asked him to retire after he suffered repetitive injuries. Sofuoğlu suffered pelvic injuries Saturday following a crash in the Superpole at France's Circuit de Nevers Magny-Cours at the 2017 Supersport World Championship. The Kawasaki Pucetti motorcyclist experienced another heavy injury at the first race of Australia 2018 in February, causing further damage to his already fragile hip and prevented him from competing for three months. "I was dreaming of becoming a champion when I first started my career 20 years ago. God has granted me five championships." Sofuoğlu's interest in motorcycle racing began in 1996 when he watched his older brother ride the two-wheelers.